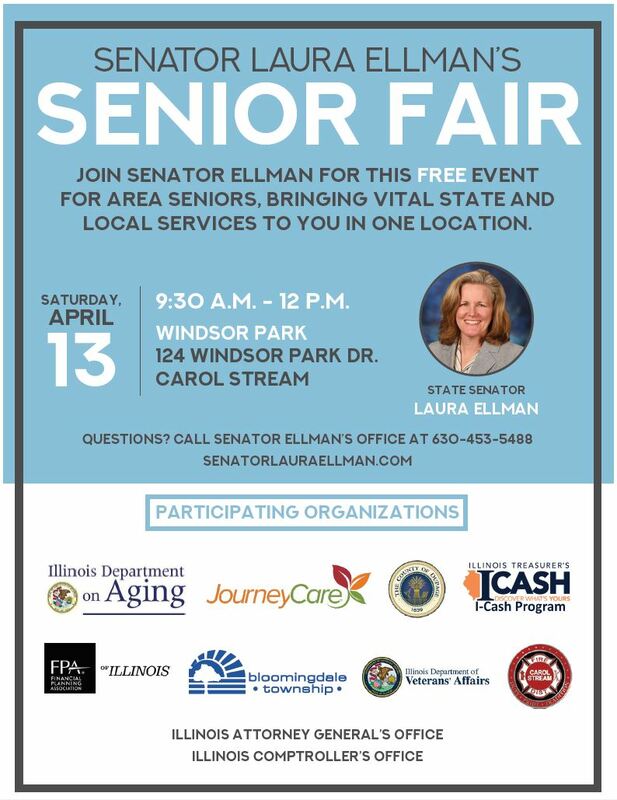 You’re invited to a free Senior Resource Fair this Saturday, April 13 from 9:30 a.m. to noon at Windsor Park, 124 Windsor Park Drive, Carol Stream. This event will bring together representatives from local organizations and state agencies to answer your questions, provide information about services and programs available for seniors and offer helpful financial advice and information to protect yourself from fraud and exploitation. The Senior Resource Fair is free to attend and open to the public. Please share this information with friends, family and neighbors who would benefit from having all of these services available in one location. 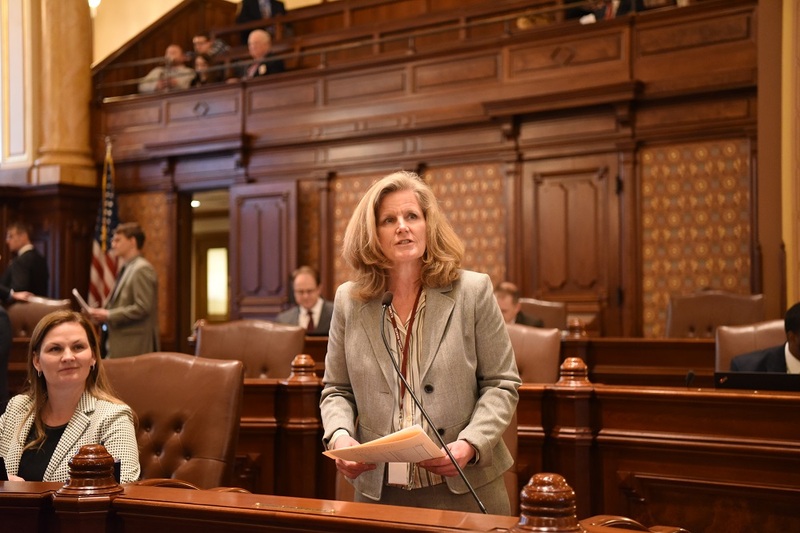 If you have any questions about this event, call Senator Ellman's office at (630) 453-5488.